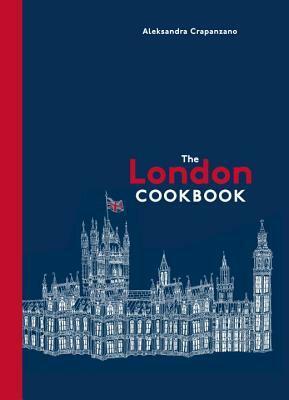 From an award-winning food writer comes this intimate portrait of London--the global epicenter of cuisine--with 100 recipes from the city's best restaurants, dessert boutiques, tea and coffee houses, cocktail lounges, and hole-in-the-wall gems--all lovingly adapted for the home kitchen. Oh London...one of my favorite cities in the world. I was only there a brief time, but it never got old. The mixture of architecture, the mixture of people, the food...and now this cookbook has come home to me and I love it. The book is far more lovely than the image above shows. Really, I'm impressed with the binding. It's just lovely. (Sorry, I seem stuck on that word today!) While not every recipe includes a pictures, those that do will have you drooling so be sure to put down some sort of protection for those pages. I do have to warn you though that these aren't recipes that you're going to come home from a long day at work to prepare. These are special occasion recipes or for those days when you just want to experiment with something new. I will assure you though that these are not the bland dishes that the British are "known for". They all look completely scrumptious and yes...lovely.